I blogged elsewhere recently about how varying school holiday dates could slash the cost of holidays – often making the difference between whether or not families could afford to get away. I gather that from September schools can set their own holiday dates – provided the total number of school days a year adds up to 195. So that should mean that some schools have slightly different dates allowing for parents to have much cheaper holidays. But what if in future years we recommended that all schools in the borough change to an alternative date from the majority in the rest of the country? Obviously I’m not suggesting a change for the 2015/16 academic year. But what about the following academic year? For example I think every local authority is proposing that in 2016 the autumn half term should be the week Oct 24th-28th. Why don’t we encourage all schools in Hammersmith and Fulham to have it the week starting October 17th? Or the following summer half term everybody else will be proposing schools designate the week starting May 29th 2017. Why don’t we propose it the week starting June 5th? (When the weather might be slightly better anyway). Please may I have your comments. Thank you for your recent enquiry regarding the setting of term dates. We consult the schools on the proposed term dates on an annual basis and the consultation for the 2016/17 academic year was circulated via LBHF School Zone on 1st July (and appeared in the RBKC/WCC circular/bulletin the same week). Suggested dates are put forward at the London Inter-Authority Admission Group (typically in March or April) and the majority of London authorities will use these dates. I have attached the proposed dates for the 2016/17 academic year and so far the only comment I have received is that the common transition day might clash with Eid. We will also consider the comments you have made in your email prior to formally determining the dates. 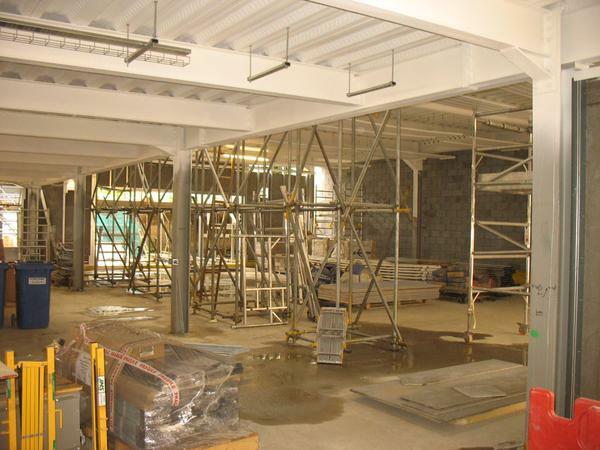 It is worth noting that for the last two academic years the Tri-borough Easter Break has been out-of-step with the adjoining authorities and we received several comments from Heads and parents to say they would like to see this rectified for future years, so that will be an important consideration when finalising the dates. The main concerns raised were where families had children attending schools in different boroughs (Brent and Ealing were the local authorities that were typically cited) resulting in siblings having a slightly different Easter break period. This made it harder for parents to arrange family holidays or resulted in parents having to take extended leave from work to cover child care. Following the close of consultation, all comments will be considered and then the finalised dates will be circulated to schools in the first School Zone of the Autumn Term. Of course individual schools may still choose to deviate from the recommended dates and we will be collating a list of all schools that have opted to use different dates. Please feel free to contact me directly if you have any further queries. The problem with that is the LGA principles are mad. They needlessly result in thousands of local children growing up in families that can’t afford to take them away on holiday. Hammersmith and Fulham Council should break free from these dates – ideally with our tri-borough colleagues agreeing to the same alternative dates to avoid problems for families with children in different boroughs. But thus far the council appears to be showing very little leadership on this issue. 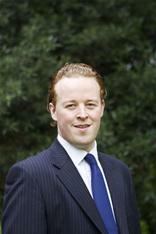 Cllr Andrew Brown: Chelsea & Westminster merger with West Middlesex Hospitals – what are the risks? Earlier this summer I wrote about the proposed merger of Chelsea & Westminster Hospital Foundation Trust with West Middlesex NHS Trust. Since then Chelsea & Westminster (C&W) have given evidence to the Health, Adult Social Care and Social Inclusion Policy and Accountability Committee. At that meeting we heard senior clinicians and hospital directors strongly argue for the clinical rational behind the proposed merger. This aspect of the merger was heavily scrutinised by the committee, however missing from this was any financial details whatsoever. This was a serious obstacle to proper scrutiny of a merger that’s origin was due to financial difficulties faced by West Middlesex NHS Trust. Representatives of C&W explained that this was due to confidentiality reasons. Whilst that is to an extent understandable, in my view it was misguided, as it cast further doubt onto the validity of the merger proposal. To their credit, C&W directors extended an offer to members of the committee to meet with their financial director to review the full business case for the proposal. I have recently met with C&W’s finance director, Lorraine Bewes, and their strategic director, Dominic Conlin. On the condition that I signed a confidentiality agreement, they discussed with me in detail and showed me the financial case behind the proposed merger. I of course intend to honour the agreement I signed, and for full disclosure, have shared this article with Ms Bewes and Mr Conlin before publishing it. My areas of concern regarding the merger have always been primarily on its effect on residents of Hammersmith and Fulham. 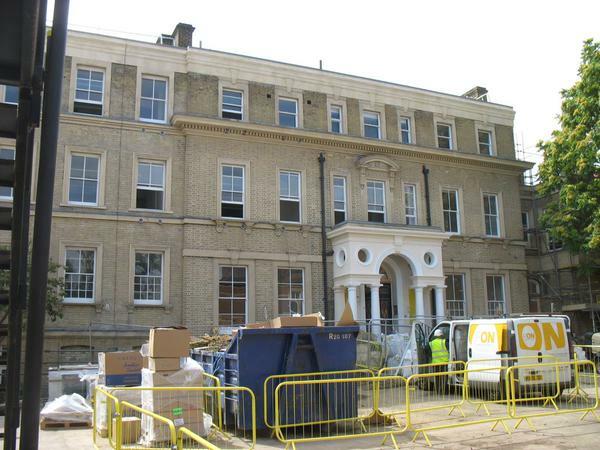 For the residents who are primarily served by West Middlesex, it is fairly clear that the merger will be of benefit, as without a merger with a strong, viable trust, there would be a significant risk that West Middlesex Hospital could cease to function. For these reasons, it is understandable why the Department of Health, the Trust Development Authority, Monitor and the Secretary of State, will most likely support the merger. I want to therefore focus on my concerns for the people of Hammersmith and Fulham, and share some of the answers that I received from C&W. One of my concerns, shared with colleagues, was how the combined trust would be able to manage the deficit and PFI costs associated with West Middlesex. It was explained to me that compared to other PFI contracts at hospital across the NHS, the West Middlesex contract was comparatively small. The money that the new trust would receive from the NHS to help manage the merger would more than cover this. The NHS are also funding a new electronic patient record system for the new trust, which will see it become one of the most advanced in the NHS. This will hopefully speed up how the trusts communicates with patients and other parts of the NHS to reduce time and costs associated with referrals and making appointments, and ultimately improve care. I have also seen that the business case plans for a current deficit over both trusts to be turned into a significant surplus over 10% in several years. It will be challenging to turn around the hospitals’ finances to that extent, and the trust should be judged on whether that is achieved. One of the criticisms laid at C&W by the CQC report was that their leadership requires improvement. That is not an ideal position to be starting such a challenging organisational change. C&W has been led by Elizabeth McManus, as interim Chief Executive, since the departure of Tony Bell in November last year. Ms McManus is to be replaced as Chief Executive by Lesley Watts, who will start in mid-September. With the merger with West Middlesex expected if final approvals are given, on the 1st of September, this is a particularly challenging time to be taking on such an important role. It is critical for both hospitals that Ms Watts hits the ground running, and that the whole management team supports her in taking the hospitals forwards and making the changes agreed with the CQC. It has been explained to me that many of senior management team from C&W have already been spending some of their time at West Middlesex in advance of the merger, and that the proposed larger merged trust is already helping to attract senior clinical and management staff. That is all well and good, however the challenge facing the management team at the new trust if the merger goes ahead is an extremely significant one. It is critical for patient services and outcomes that they are successful. The business case for the merger trust is based in part on increasing the number of patients seen on the West Middlesex site. This will depend on whether significant numbers of patients choose to come to West Middlesex; on whether local clinical commissioning groups commission new/expanded services at West Middlesex; and that large neighbouring trusts, such as Imperial, do not successfully compete for these additional services. There will of course be other risks, both known and unexpected, that could derail plans. It has been explained to me that if the merger does not go ahead, C&W will face risks perhaps greater than those of the merger. Not being able to turn the deficit around, and compete with larger nearby trusts to attract patients as well as leading clinicians are valid concerns. C&W have said that they have no plans to move services from C&W to West Middlesex. 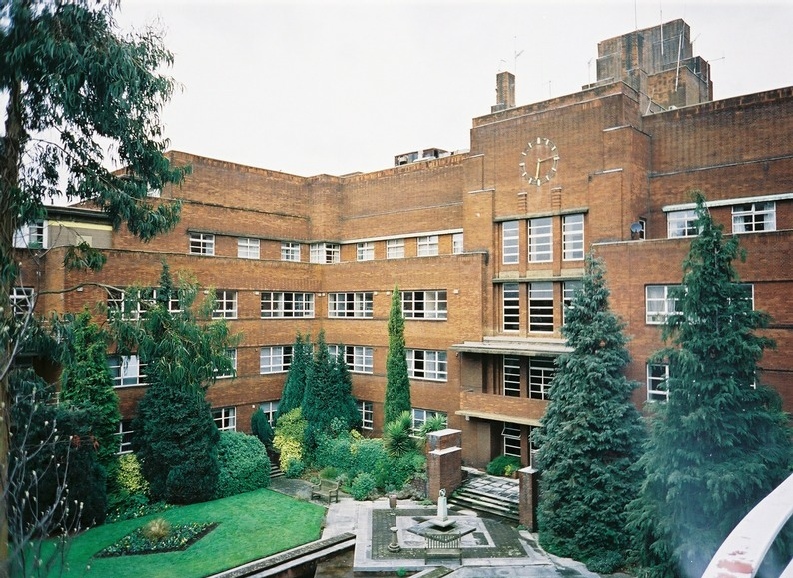 Residents of Hammersmith and Fulham have heard that before however, following the creation of Imperial College NHS Trust. We have been assured that services will not be moved, and that if such a proposal was put forward it would have to undergo full public consultation. That in my mind is not sufficient, so I have written to the Chair, Chief Executive and Governing Body of Chelsea and Westminster to ask for their guarantee that patient services will not move away from Chelsea and Westminster. In conclusion, I still believe that this merger carries significant risk, but as argued by C&W there is significant or greater risk by not going forward with West Middlesex. The combined trust will be strongly incentivised by the NHS to take over West Middlesex, as well as invest in a new IT infrastructure. My biggest concern is that services for patients in Hammersmith and Fulham could suffer through either being moved to West Middlesex or through the management of the trust being distracted by the merger and away from what counts patient care and outcomes. Finally from a local authority perspective, Labour councillors on the scrutiny committee and members of the administration have not been to C&W to meet with their finance director and scrutinise the business case. This is in addition to there being little to no contact between C&W and the leadership of Hammersmith and Fulham council since the Labour Administration took over last year. For a council that put such electoral stock in local healthcare issues, they have serious questions to answer. Do they not care about a hospital that provides services to a significant majority of patients in Fulham, and most families across the borough with children? Or do they only care at election time? 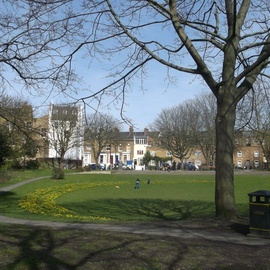 The Mayor has confirmed he has delivered his manifesto pledge to create 100 rejuvenated spaces as part of his pocket parks programme in 26 London boroughs. Support the creation of a sustainable drainage project on the pedestrianised Melina Road (on the boundary of Cathnor Park) and to make improvements to play and planting within the wider park. White City – Active Plaza. 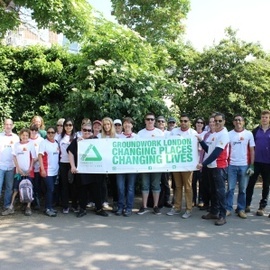 In partnership with Groundwork London a capital improvement project that will provide a new community area with recreation facilities for the estate and will contribute to social interaction among residents and increased opportunities for physical activities. 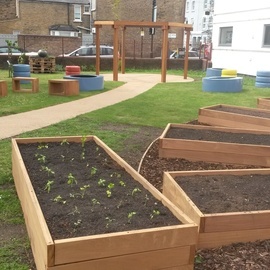 The Lancaster Court Pocket Park in partnership with the Lancaster Court Tenants’ and Residents’ Association has provided a new landscaped community area for the estate, with raised beds for growing food. “From what started as a green shoot in 2012, dozens of glorious spaces have sprouted up across almost every corner of the capital, offering an oasis of calm from the hustle and bustle of city life. 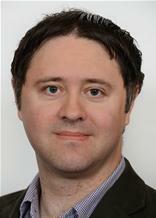 Labour councillors are keen to repeat the mantra that they wish to do things with residents not to residents. But that is not how some of those on the West Ken and Gibbs Green estates who voted for them see it. Opinion is divided over the redevelopment of those estates. Before the council elections last year Labour opposed the plans. 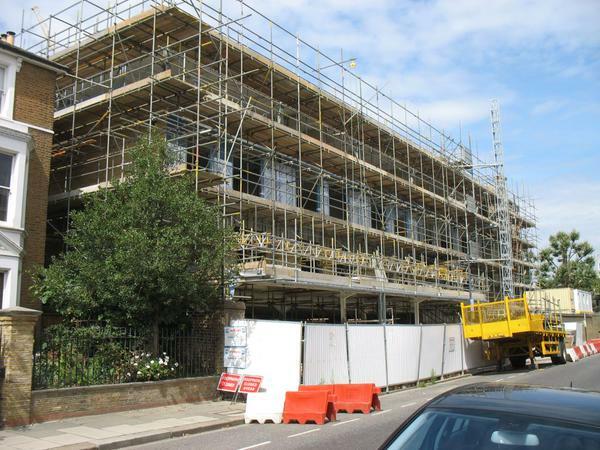 They spread scare stories that residents would have to move to Barking and Dagenham – when in fact replacement local homes are being offered. Lies such as those poisoned and politicised what should have been a practical assessment of how it might be realistic to provide new and better housing. My own view is that was is proposed is an improvement on what exists at present – but that it could be much better. It is perfectly possible to meet that requirements for density, and for the sums to add up, while providing a really beautiful place to live. But while there will be a range of strongly held views it is wrong for the Labour Council to be secretive about their negotiations. 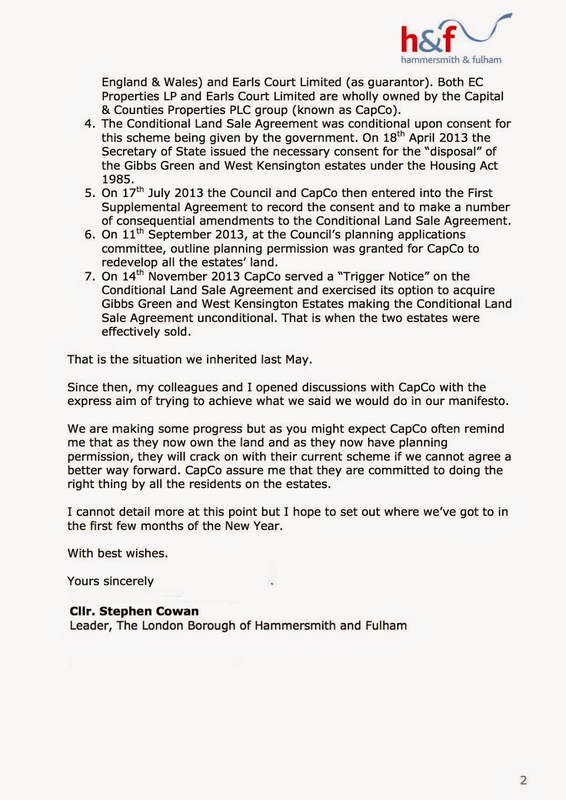 This morning a group of residents opposed to Capco’s regeneration plans declared they had “lost patience” with the Council. The Labour councillor Cllr Andrew Jones gave an evasive and bureaucratic response which sounded like a statement a lawyer had written for him. Last December the Council leader Cllr Stephen Cowan wrote to residents saying nothing much – but that he “hoped to” feel able to tell them something in the “first few months of the New Year”. It’s August and residents have yet to hear diddly squat. Labour canvassers last year went round telling residents that the redevelopment would be halted if they took over the Council. 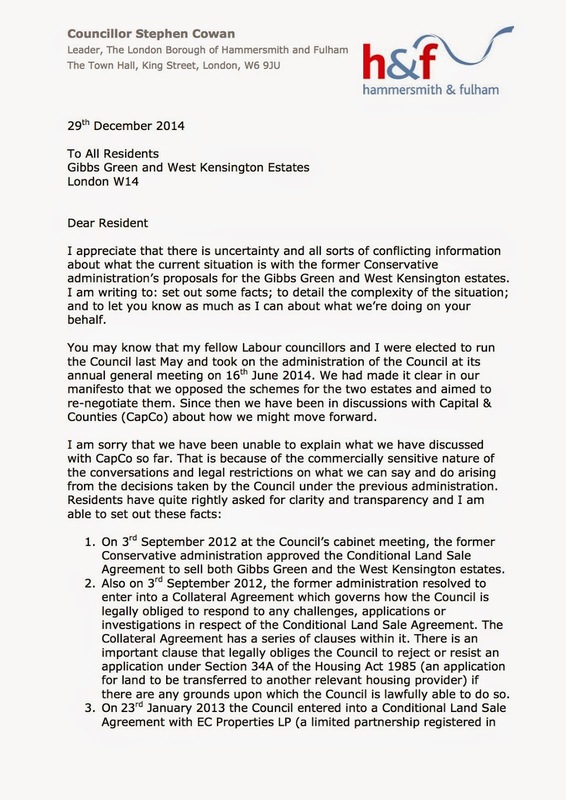 As for Labour’s pledge to publish minutes of their meetings with property developers the reality has proved a sham. Rather than proper minutes the information made available for each meeting is a couple of sentences of waffle. No genuine indication of what changes are being sought or what changes have been offered. So a year after taking power Labour are shown to be arrogant. Residents are left out of the loop. Labour’s own supporters feel betrayed. Cllr Steve Hamilton has submitted the following response on behalf of the Conservative Group on Hammersmith and Fulham Council’s proposal for a 20mph limit on all roads in the borough. As a Council, we have a responsibility to reduce the number of accidents in our borough, and the number of people killed and seriously injured. However actions taken by the Council should be considered and evidence based – we should not implement the latest fad just to be seen to be doing something. As a Group, we have supported the introduction of both 20mph zones and 20mph limits in areas where there is clear demand and support for them from local residents and businesses – but these have been implemented on minor roads, and not on the primary roads in the borough. To implement a borough wide 20mph limit will cost at least £ ½ million – significantly more if any traffic calming measures are introduced. This is a significant sum of money, and it is important to consider if this is a good use of public funds. Noting that the intention is for the money to come from the Borough’s allocation from TfL’s integrated transport allocation, we must also consider what would not be funded if this money was redirected and alternatives which might be more successful at reducing accidents. Having read the report presented to the Council PAC and supporting information we are not convinced that this is a good use of the money. There is nothing in the report that attempts to look at the accidents in the borough and identify what may have caused them. Putting up signs stating the borough is tackling safety by reducing speeds provides publicity – the report states that there is insufficient data for London boroughs to allow any reasonable prediction on the impact on speeds, which make any predictions on changes to the accident rates impossible. Looking at the evidence provided, it is suggested that changing the speed limit from 30mph to 20mph reduces average speeds by just 1.3mph – this is a negligible reduction to the average speed, but to anyone who uses the roads in LBHF you might think that this is optimistic – as one of the most congested boroughs in the country, it is all too rare for the streets to be clear and for you to be able to travel at 20mph. It is not just congestion that has an impact on traffic speed. The report states that on the 100 roads surveyed, on more than half of the roads, when there is no traffic, people drive at 25mph or slower, so changing the speed limit would have no impact on these streets at all. The Council has the data on when and where accidents occur. The Council has also measured the speed of the traffic using devices placed on the roads for a week to measure the speeds. It should therefore have been possible to use these two sets of data to identify the approximate speed of traffic when the accidents occurred. This would clearly identify the proportion of accidents that happen at speeds greater than 25mph. This information has not been included in the published report, and I can only assume the reason is that it the evidence does not support the proposed plan. How could the funds be better spent? North End Road is one of the accident hotspots in the borough. Having spoken to the bus companies, they have weekly reports of accidents happening alongside the market – either because the stalls have encroached into the highway or because pedestrians step out into the road between stalls without stopping to check for oncoming traffic. Speed can have nothing to do with the accidents here, as when the market is in operation, it is normally possible to walk faster than the traffic. RBKC have invested in teaching bus drivers how to better understand cyclists, in order to reduce collisions between buses and cycles. Drivers who have taken the course have reported a better understanding of the issues faced by cyclists. Making such courses more widely available – especially to lorry drivers – could reduce the collisions between cyclists and large vehicles – these accidents usually happen at slow speeds, but are more likely to lead to serious injury and death. Related to driver education is improved education for cyclists. Reaching adult cyclists is difficult, but improved cycle proficiency lessons at schools, especially to show cyclists just how impossible it can be to see them when they cycle between a lorry and the curb would lead to safer cyclists. According to TfL, 70% of collisions occur at road junctions, which is not surprising as at some junctions parked cars and other obstructions make it difficult to see if there is any oncoming traffic – working to improve visibility, perhaps by fitting convex mirrors opposite junctions, could allow people to see round corners and have a bigger impact on the reduction in the number of accidents. We are also concerned that the consultation is flawed. The consultation is biased to encourage respondents to support the introduction of a 20mph limit. In the PAC meeting, the report included the proposed questions, which could have allowed the committee to have suggested changes to the consultation to make it clearer and remove potential bias. However the consultation booklets were pre-printed for the meeting, making it impossible for the committee and the residents present make any suggestions to how the consultation was presented. It was not even made clear to those at the meeting that the draft questions had been changed between being sent to the committee and the booklets printed. Listen to residents at the meeting, many were confused which roads were proposed to have a 20mph limit applied – most people believed the consultation was for ‘residential roads’ so would not apply to primary routes such as Hammersmith Road or Fulham Palace Road – and it was clear from their input into the meeting that their position on the scheme varied depending on the roads included – if the people who have enough interest in the scheme to give up an evening to come to the Town Hall have problems understanding the consultation, then it is reasonable to assume even greater confusion among our residents.